To some eyes this is the perfect Ewok themed garment to wear to a Thursday evening screening of The Force Awakens. 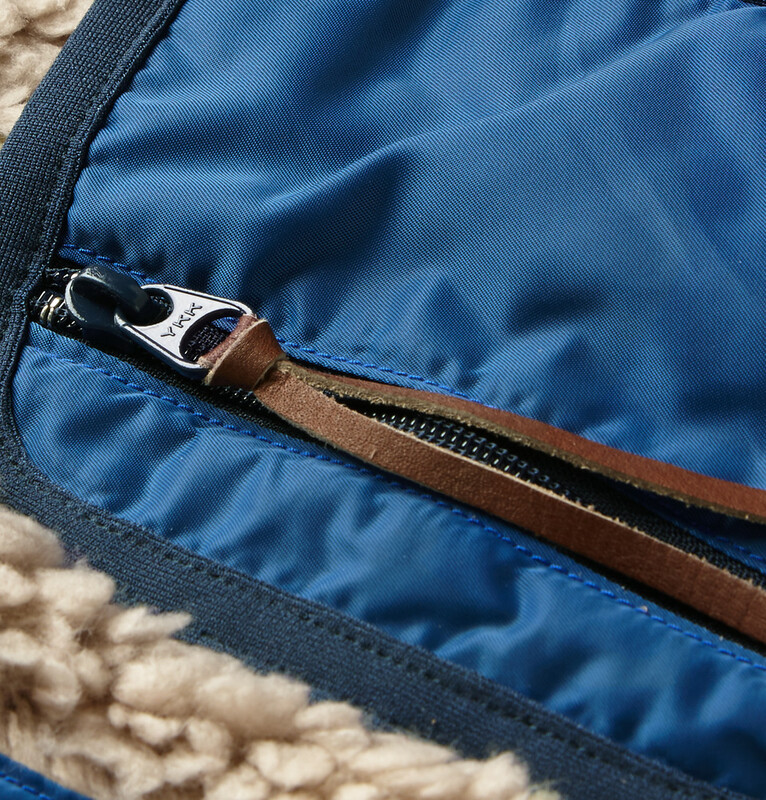 To others, it’s a lunatic conjoining of fake fur and disco pockets. As much as I love the brand Kapital, I’m not sure what camp I’m in? If I had this now, in my closet, would I actually wear it? Or is it more that I’m just happy that it exists? I’m genuinely not sure, but there’s definitely something pleasingly ‘Mos Eisley background character’ about it. 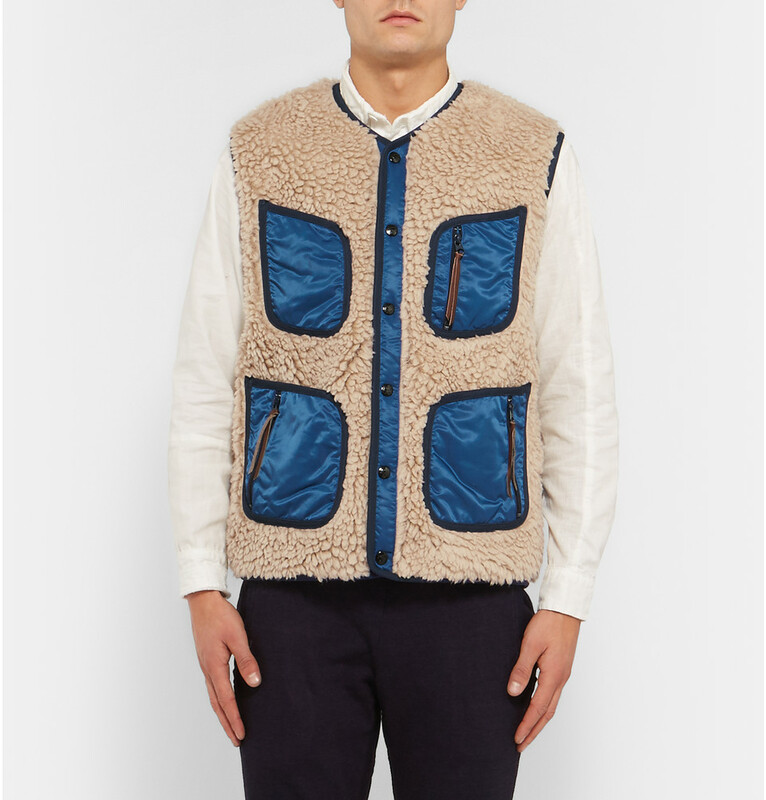 You could certainly soften the impudence of this by layering it beneath outerwear. But that’s not really the point. A thing like this deserves to be witnessed, unsheathed, at full power. And should you take that route, even without a coat, it’d keep you warm. 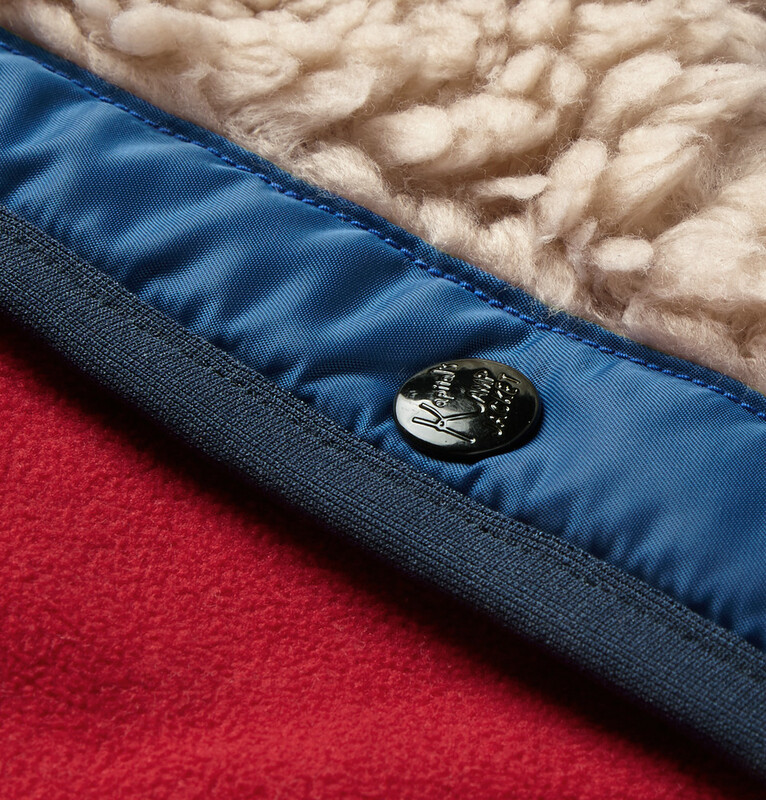 Onboard there’s a fleece lining and that faux shearling business will surely keep things cosy torso-wise. 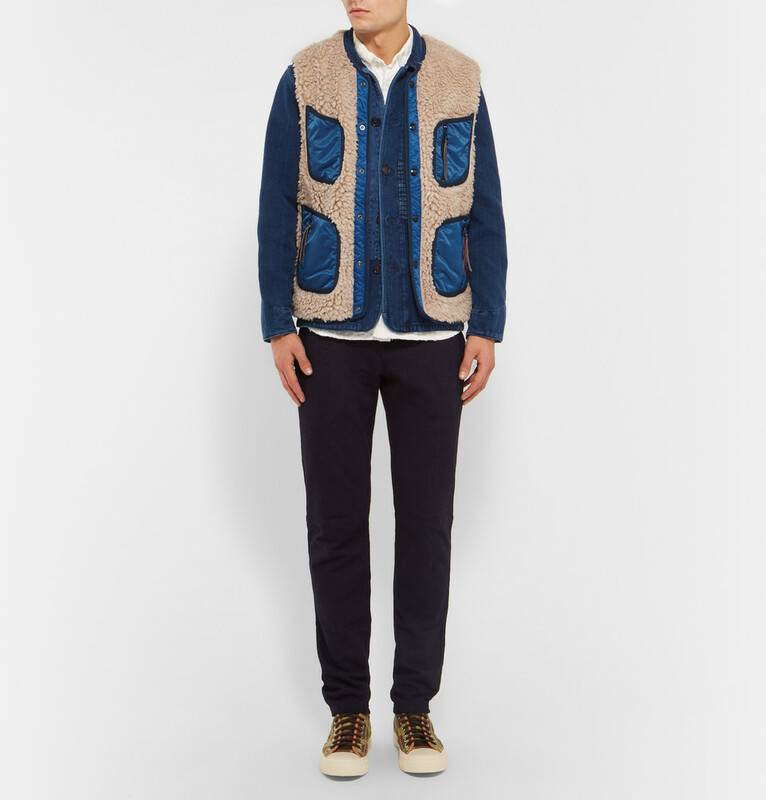 The issue is more the sheer audacity of the camel fur and the petrol blue pockets. It’s a piece with personality designed to clash, it announces its presence in the room before you do. Which depending on your allegiance to The First Order, may or may not be a good thing.